My friend recommended me this Thai restaurant while I was thinking what to eat and we happened to pass by it. She said she tried the tom yum clear soup and it is yummy. 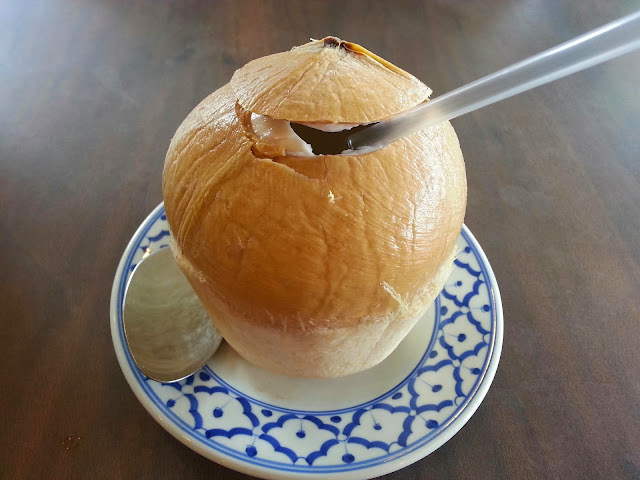 An air conditioning restaurant definitely the best choice on this super hot weather. 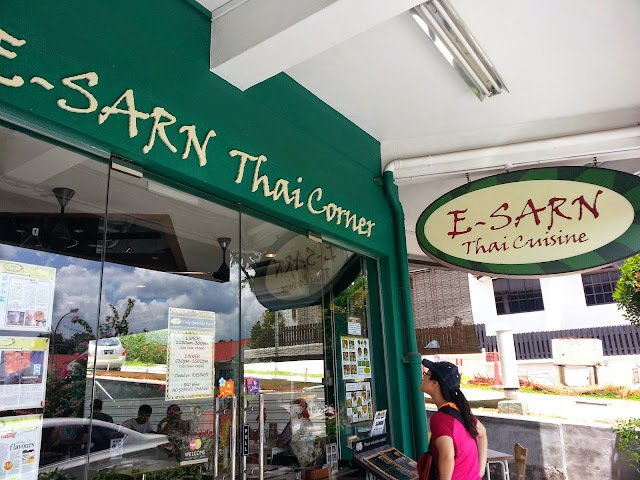 E-Sarn offers quite a large range of thai cuisines. 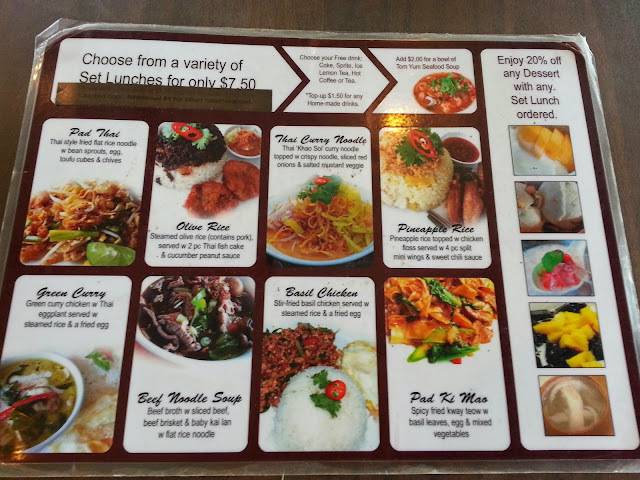 After comparing the main menu and the set lunch menu, we decided to go for set lunch as it is more worth and come with drink. You can top up additional $$ to change your drink option. Lunch set($7.5+) include a main course and drink. My friend had coffee and I topped up $2.5+ for young coconut. We both added $2+ for tom yum seafood soup. 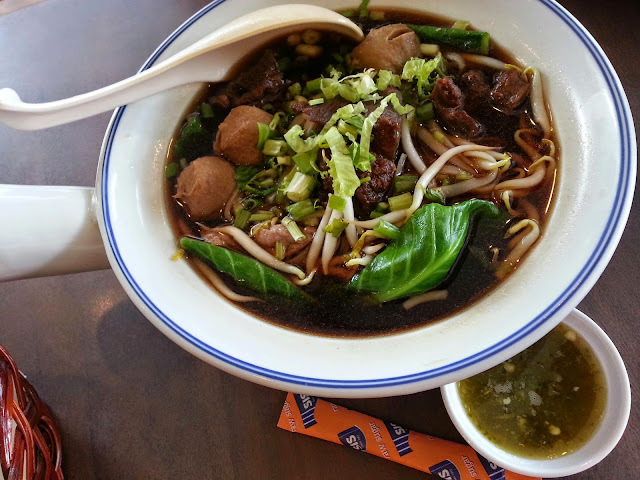 Beef Noodles Soup - beef broth with beef meatball and beef brisket. Tasted fine for me, I usually did not order this so not too sure where is the standard but it is fine for me. 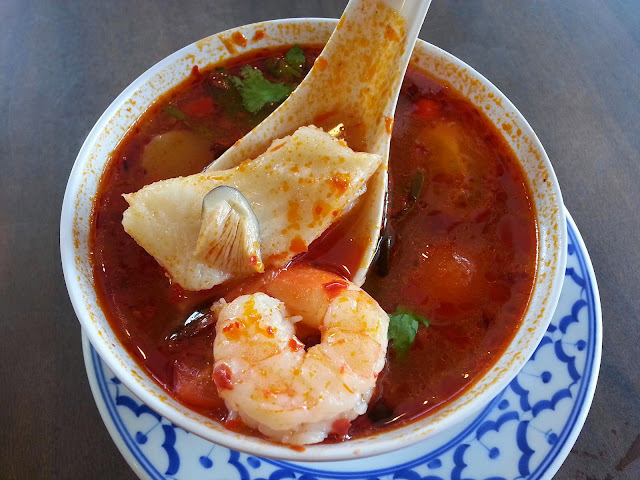 Tom Yum Seafood Soup - the $2 add on, a bowl of seafood soup which you can find sliced fish, prawn and squid, looks very oily so before had the soup, I tried to removed the oil 1st. It tasted good, spicy enough for me. 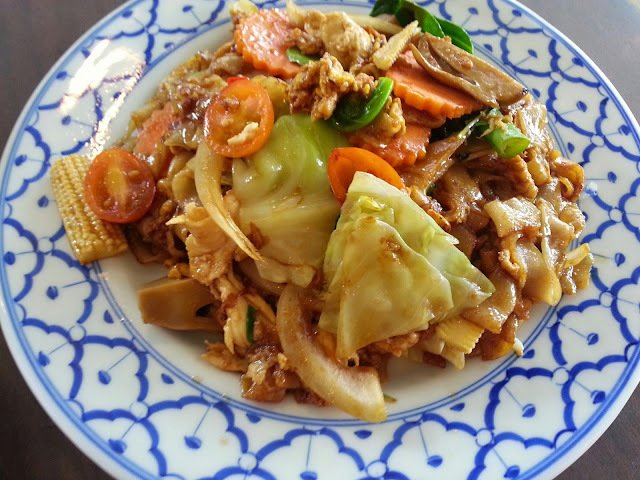 Pad Ki Mao - fried kway teow with assorted vegetable, basil leaves, chicken and egg. Me and my friend quite like this as it has one unknown aroma smell(non basil), a bit not use to have basil leave in fried kway teow but the taste is really good.